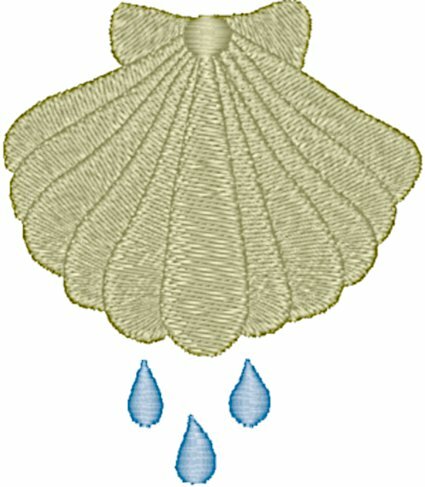 The shell has long been a symbol for baptism because it reminds Christians of the water that they are baptized in. It is also a sign of pilgrimage, as pilgrims to the Holy Land used shells as drinking vessels. The sewn out size is 2.72" W x 3.14" H with 7,938 stitches.